When I was young, lemon and lime curd were two things I hated. The stuff we had in the fridge from the supermarket was more like a toxic goo coloured jelly/jam concoction. So I assumed curds weren’t for me, how wrong was I? Little did I know that the stuff we had in our fridge was an imposter, it couldn’t be further from the smooth custard-like curd that I tried years later at The Savoy. After trying the real deal, I sought out a recipe and I used it again and again to ensure that I always had lemon curd. You can use this stuff in so many ways, swirled in natural yoghurt, as a filling for cakes or macarons, added to cream cheese or mascarpone to make a delicious frosting, a fruit layer for a pie or tart, spread on scones with clotted cream or simply on toast. I decided that I wanted an alternative to lemon curd and so I made lime curd as well. I’m going to use these curds in some recipes on my blog in the coming weeks, I’m thinking Lemon Drizzle Croissants and Mini Lime Meringue Pies with a chocolate pastry. A huge part of patisserie is the preparation of other ingredients or components for the end results, as I do most of my baking in the evenings, anything that I can prepare in advance is a real help for the final recipe. There are some things I try to have a stock of, especially anything you can freeze. When making pastry make double if possible and freeze the other half. This can be frozen for up to three months and defrosted overnight in the fridge. Chocolate ganache will keep in the fridge for up to a fortnight and can be frozen for up to three months. To defrost leave it out overnight and to make it soft again microwave on low power until just soft, then give it a good stir and it’s ready to use. Salted caramel will also keep for up to a fortnight in the fridge and it can also be frozen for up to three months. Defrost overnight in the fridge and it’s ready to use. Italian buttercream freezes extremely well, simply thaw overnight in the fridge and then beat lightly before using. Macaron shells can be frozen for up to three months and then defrosted and filled with the filling of your choice. Simply defrost overnight in the fridge. Egg whites freeze very well, place them in a freezer bag and write on the bag the date they were frozen and the number of egg whites in each bag. Defrost overnight in the freezer and when using them to cook with use 30-35g of egg white for one egg white. (These egg whites work particularly well for macarons, however if making meringue, the freshest egg whites possible should be used). 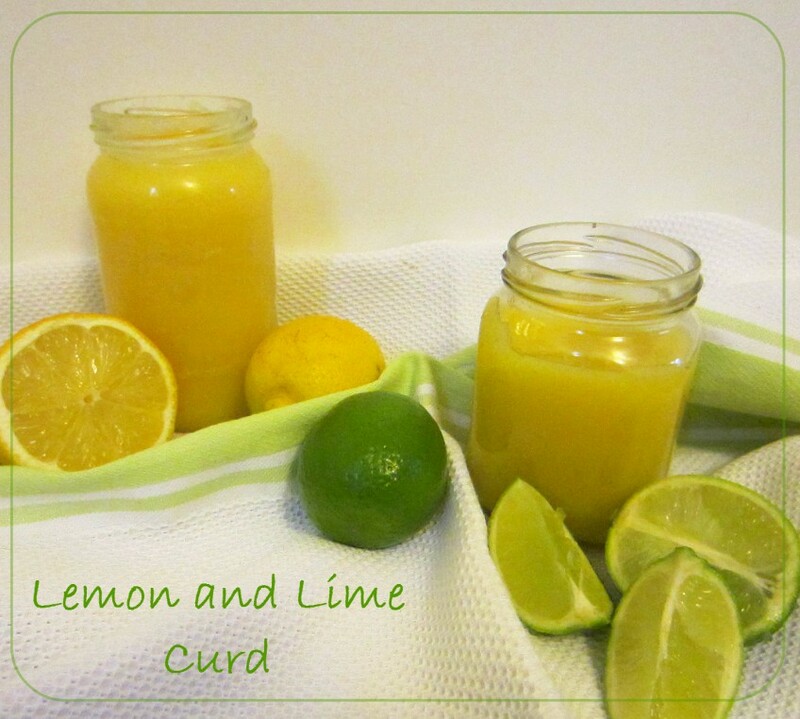 The lemon and lime curd recipes are below, I have tried both of these and they have worked for me everytime. I like my curd to be free of zest, so I add the zest to impart the flavour at the beginning and then I strain the curd so that the zest is removed from the finished curd. The finished curd will last for 1-2 weeks when kept in the refrigerator. This is a very simple recipe for lemon curd courtesy of the BBC Food pages. I have made this lots of times, don't worry if you end up with a tiny amount of cooked egg white, you can simply sieve the curd before placing it in the sterilised jars. Put the lemon zest, juice, sugar and the butter into a heatproof bowl. Sit the bowl over a pan of gently simmering water, making sure the water is not touching the bottom of the bowl. Stir the mixture every now and again until all of the butter has melted. Lightly whisk the eggs and egg yolk and stir them into the lemon mixture. Stir until all of the ingredients are well combined, then leave to cook for 10-13 minutes, stirring every now and again, until the mixture is creamy and thick enough to coat the back of a spoon. Remove the lemon curd from the heat and set aside to cool, stirring occasionally as it cools. Once cooled, spoon the lemon curd into sterilised jars and seal. Keep in the fridge until ready to use. I actually prefer lime curd to lemon curd, it's a little sweeter and a bit more interesting. Like the lemon curd recipe, if you end up with any small bits of cooked egg white you can simply sieve this out at the end before placing the curd in the jars. Put the zest, juice, sugar and butter into a bowl and set the bowl over a pan of barely simmering water, making sure that the base of the bowl does not touch the water. Stir until the butter and sugar have dissolved. Beat the eggs together lightly, and add to the lime mixture. Stir continuously, until the mixture has thickened enough to coat the back of a spoon (about 10-15mins); the curd will thicken further on cooling. Store in sterilised screw top jars in the refrigerator. Do you like lemon or lime curd? Are there any foods that you hated as a child which you discovered again as an adult and you’re in love with now? I absolutely adore lemon, so you’ll probably get sick of seeing it on here! Curd doesn’t sound appealing! You remind me of QR and her hatred of the word ‘clotted’. Tomatoes and some salt are one of lifes little pleasures. How was the pretzel bun? I’ve wanted to try making soft pretzels for a while, are they worth it? Yes, you should definitely make soft pretzels! I really liked the pretzel bun, it’s a nice change from the ordinary. They have a really nice texture and the one I had was still in a pretzel shape, which gave it a cute presentation. I’ve seen quite a few advertisements for pretzel buns but they were traditional bun shape with scores at the top. Pretzel crust on pizza seems to be the new craze here. Haven’t tried it yet but heard it’s pretty good. Aww, I miss QR and the good old days! Every time I buy Goldfish I think of her. 🙂 But I can understand her aversion to the word clotted. It doesn’t have a great connotation here, pretty much associated with blood. O.o Btw, what exactly is clotted cream? It sounds like the cream would be spoiled. I actually made it especially for baking with. Although others in the house have raided the lime curd already. I like to eat it by the spoonful too! Totally agree with you, shop-bought curd is nasty – I’ve only ever had one that I really liked from a shop! I had the same experience with pretty much all food though, I used to hate everything growing up, I was a real picky eater, which is why I love discovering new foods now! Yes! I assumed it was a food that just wasn’t for me. The same happened with kiwi fruit and figs this weekend. I hated both of them as a child, but this weekend I rediscovered them and I thought they were delicious. Thanks for stopping by Emma, you have a lovely blog.